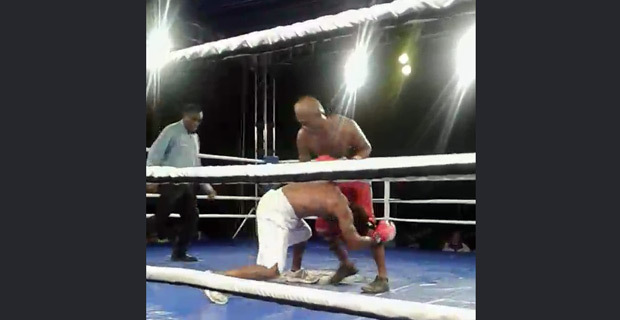 The much anticipated fight between Savenaca Naliva and Joseph Kwadjo had a dramatic ending last night with the fight being stopped in the 6th round due to the ring being slippery and unsafe for the fight to continue. The fight was stopped by the referee. But even before the fight was stopped, a brawl erupted in the 4th round which included officials from Kwadjo and Naliva’s teams. More than 15 people were allegedly involved in the brawl which started after a confrontation between an official from Kwadjo’s team and another man. A man from Kwadjo’s team tried to enter the ring during the fight causing another man to confront him which led to others joining in. Police confirm the incident and say their 18 officers who were deployed for the event controlled the situation when the brawl occurred. Police officers then escorted some officials from both sides to the grandstand. 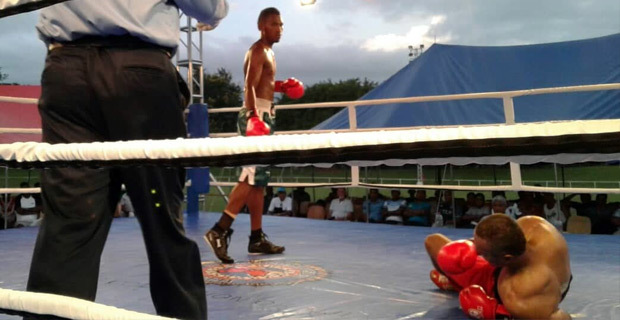 After the fight between the officials, the main bout continued only to be stopped in the 6th round due to the slippery conditions. At one stage during the fight Joseph Kwadjo was fighting barefoot. 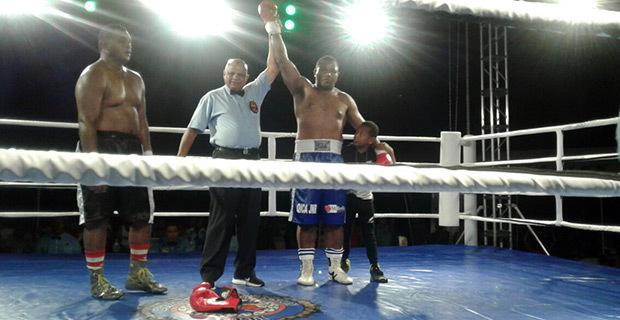 The fight was declared a no contest with no winner crowned and now the two boxers may have to fight another day for the vacant Fiji Light Heavyweight Title. Naliva who gave Kwadjo a fair contest last night has called for a re-match but he wants the fight to be staged in Ba. Naliva believes he was winning the fight. 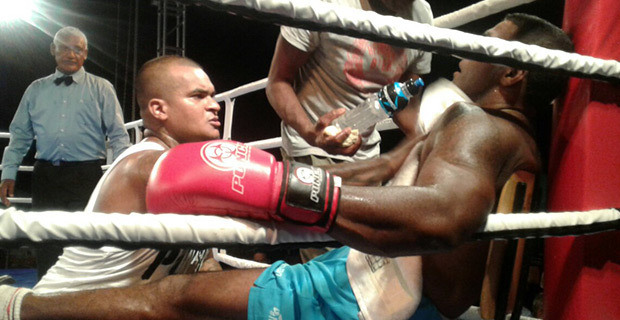 Joseph Kwadjo says it is shameful that the fight was stopped due to the slippery canvas. He says people all over the world will watch the fight and see a boxer fighting with no boxing shoes. Kwadjo says the fight should have been stopped in the second round. Responding to Naliva’s challenge, Kwadjo says he will go anywhere to fight if the boxing ring canvas as well as the security is good. 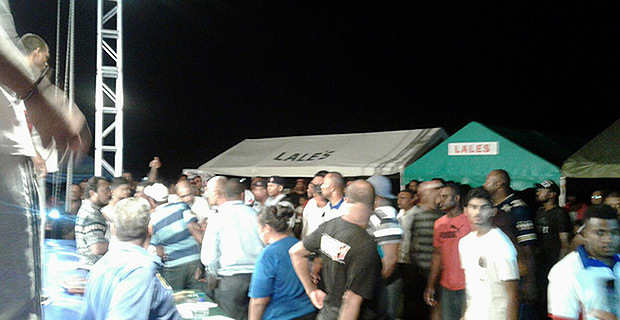 Boxing Commission of Fiji, Commissioner Usman Ali says about 10 people were in Kwadjo’s corner and they had told them to clear out during fight but they did not follow instructions. He says they will write to Kwadjo’s management. Only three officials are allowed in a boxer’s corner. Meanwhile, Petero Qica won against Isikeli Navuni with a third round technical knock out. Rahul Aron Singh beat Sheik Rizwan via a technical knockout. 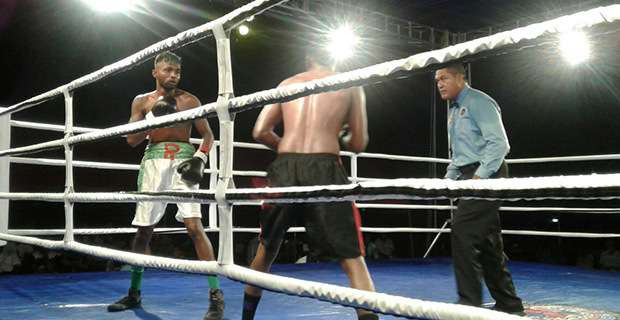 Filimoni Naliva won through a unanimous points decision over Soropepeli Vuniyayawa. 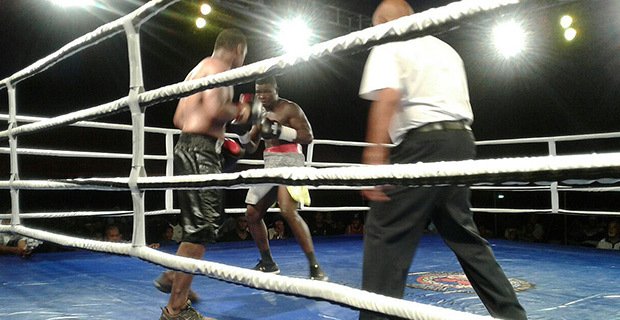 Apisai Naciqa won through a unanimous points decision against Matereti Canavanua. 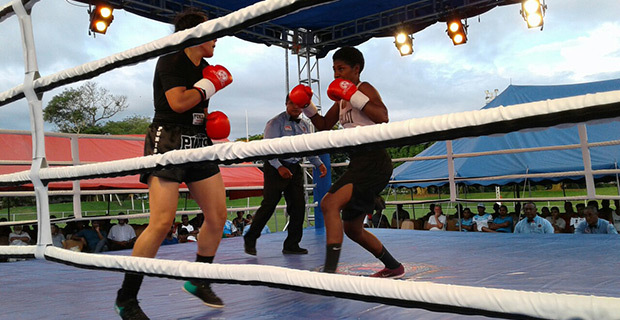 In the Women's bout Visila Kolitapa beat Katrina Singh by unanimous points decision. Josefa Ravudi Jnr won through a unanimous points decision over Sikeli Senidoko while Samisoni Hanimo won through a TKO in the 4th Round against Rupeni Rasaku. Abhay Chand was too strong for Nereo Cakautini winning his fight in the second round through a TKO. Abhay has issued a challenge to Sebastian Singh.